There are few things quite as disappointing as that moment when you look down at your ticket for an upcoming show and realize the event is open to all ages. Don’t get me wrong, I am all for spreading the electro-gospel to anyone and everyone interested in joining the movement, but allowing kids who just took their first road test into a top shelf bar on a Friday night seems questionable me. While the concert attendees don’t exactly affect the flawlessness of the beat drops, it is definitely something I’ll be paying more attention to when buying future tickets. But enough about the age and onto the music! 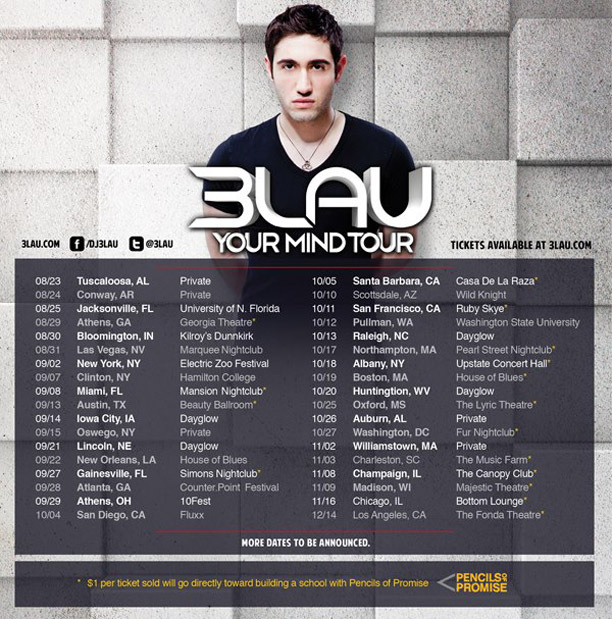 3LAU (pronounced Blau) originally broke into the EDM scene as a mash-up artist, and has grown significantly since his humble beginnings. On Friday October 19, 3LAU 3lew up the House of 3lues in Boston on his “3LAU Your Mind Tour.” Anyone familiar with his music knows that mash-ups are still a HUGE part of 3LAU’s set, but my ears snapped to attention in a hurry when I realized I was listening to a new kind of 3LAU. In his early music we heard the occasional tempo twist and distorted bass line, but not much more than a teaser. Last Friday I experienced something completely different. Not only was 3LAU able to flawlessly integrate his older style sound into some mind melting mash-ups, he made it clear that his talent has grown and he can drop some solid progressive beats as well. While a good chunk of his set seemed to cater to the teenie-boppers of the crowd, and focused on mashing together tunes from Ryan Seacrest’s top 40, 3LAU did release the womp monster from its cage on more than one occasion, dabbling with some drumstep and even experimenting with some moombahton tempos. Apart from some new music styling, 3LAU’s light show dwarfed all other light shows I’ve seen at the House of Blues, incorporating everything from rainbow lasers to obscene amounts of sparkling confetti. 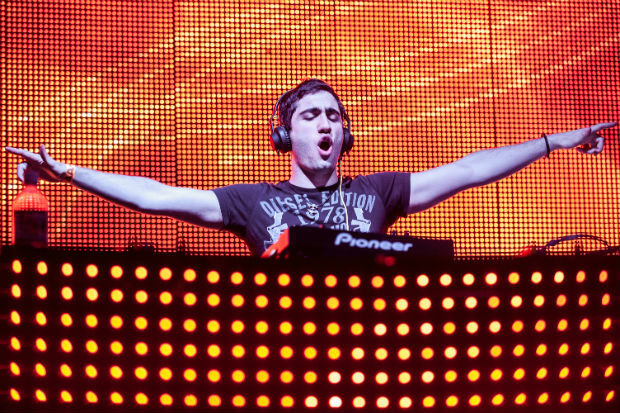 3LAU also intertwined some very recent samples from the likes of Justice, Project 46, and Fedde Le Grande. Overall the stellar light show and the combination of the new and old styles made the show well worth the $20 dollar entry, even if I did have 13 high school kids ask me to buy them a beer. Currently kickin’ it in South Boston but originally hailing from New York, my parents call me Sam but since the sixth grade everyone else has called me Streeter. By day I’m a technology teacher and by night I bounce to the beat in this city of mine. Grew up playing various stringed instruments, but didn’t get involved in EDM till I ventured to Bentley University. Big fan of all things progressive and dutch, with a respect for anything unique and original.